Today’s 44 was a simple move. 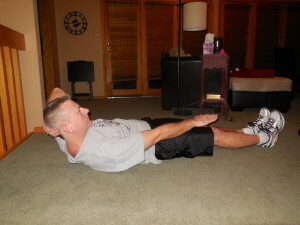 I did an oblique reach – lay on your back with shoulders off the ground and reach your right hand to your right foot. And, of course, this move has to be repeated for a 2nd set of 44 on the left side. I’ve been excited for today all week!!! 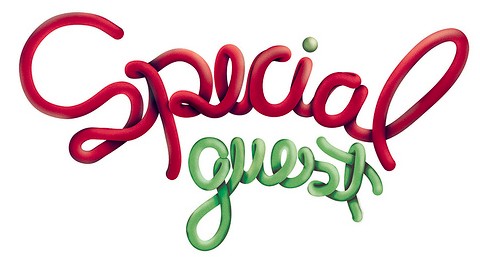 Because today I have a very So, no more wasting time let’s meet my guest!! 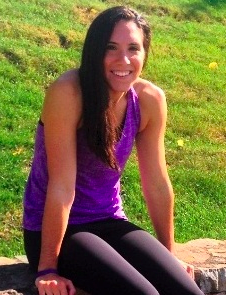 Please welcome Elise from 9toFit. If you haven’t read her blog yet you need to – this girl is amazing. She works full time (actually these days she is working way more than full-time!!!) 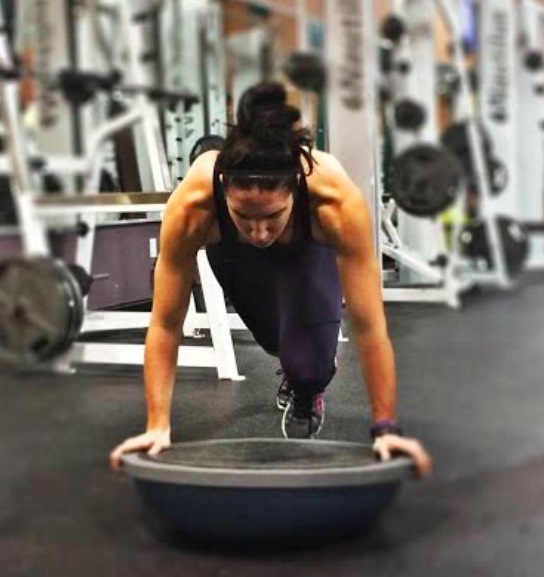 as an accountant and still manages to come up with some incredible workouts and recipes that she shares with all of her readers!!! Plus her insight on different topics, like the fact that weight is just a number, is amazing!! 1. I read that you were a college athlete (basketball on what sounds like a great team). What are a couple of your favorite memories? My favorite memories all involved just hanging out with my teammates. Even though it was serious when we were on the court, as soon as we got off we knew how to have a good time! One of our best memories with them was probably the 2nd time going to Elite 8, when we got to go to San Antonio and see the Riverwalk and everything. Just an awesome experience! 2. Did you have an athletic scholarship and if so did you feel extra pressures from it? 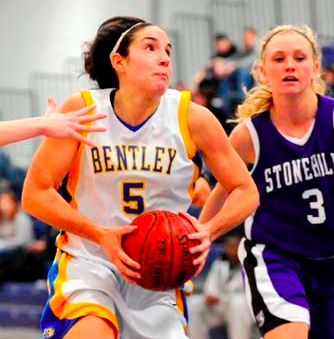 Yes, I was a 5 year scholar athlete at Bentley University, since I red shirted the first time I blew out my ACL. Being on scholarship at Bentley was like having a job. When we traveled for games we treated those trips like business meetings. So I don’t know if I’d say extra pressure, but it was definitely very serious, and you are expected to win! 3. As a team athlete in college, I’m sure that team support is still vital for you. Who makes up your support team? Yes, I feel like it’s so important to surround yourself with positive people in your life. What is it they say, you are most like the 5 closest people to you or something? Therefore I try to surround myself with people who have similar goals and values. My main support team is definitely my boyfriend of 4 years, Mike, my family (my dad gets up with me 2 days out of the week to work out at 5:30am!) and a few of my best friends I’ve had since 7th grade. 4. Do you love your job as an accountant? Is this something you always wanted to do? Haha, short answer No & No. My job has its up and downs. I am a public accountant, so for those of you who know about the dreaded busy season, you feel my pain. The days can be very long and working weekends is never fun! But I ended up getting into accounting because Bentley is a top business school in the Boston area, and numbers have just always been something that clicked for me. Do I want to work in accounting forever? Definitely not, I’d love to be in the fitness industry but, on the bright side, I’m getting a lot of business experience! 5. I know you use the Cody app. Will you explain it for those of us who still don’t know all about it? Yes! I love the Cody app! So it is basically like instagram or twitter but for fitness (you can download it on the app store on your iPhone). You are able to track your workouts with pictures or statuses. Just like on instagram/twitter you can follow people and be followed, and also like or comment on people’s workouts. On top of that there are a ton of “coaches” who have training plans, both free and paid, that provide you with great fresh workouts. Really the community on there is amazing and growing quickly! If you haven’t checked it out yet I recommend you do, it’s a great way to track your workouts and be social at the same time. 6. Is your 6 Pack ab training an ongoing group or is it just part of the time? Is it in conjunction with the Ab of the week? The 6 Pack ab training plan is a series of workouts that people can subscribe to and have forever. The people at Cody actually came to me to be a “coach” on their app. So I put together an ab training plan which we named 6pack abs. Over 1,500 people have subscribed to it either on their phones or online! I actually just launched the 2nd version recently, a 2.0 version! It has 8 different ab workouts, with 3 different intensity levels for each. So no matter what your fitness level you’ll find one that works for you. I’d love for you guys to check it out online here or on the cody app. The plan costs $9.99 but you pay once and it’s yours forever! And back to your original question, the ab of the week section on my blog is kind of what started the training plans. People who followed me, and the cody team saw these and that’s what inspired the training plans you guys can now subscribe too. 7. Are you a vegetarian or do you follow any specific diet? Do you have any foods that you completely avoid? Definitely not a vegetarian, I love meat way to much! I’m not a big diet person and I don’t completely cut foods out. I try to just not eat like crap but if I feel like ice cream, I’ll eat some ice cream. I can honestly say the only food that I won’t eat is like McDonalds cheese burgers or something. If I am eating fast food I would choose something like Panera or my favorite.. Chipotle! 8. If you could go anywhere for a month, where would you go and what would you do? Well I’m super excited that in September I will be going to Italy! So right now that’s where I would want to go! lol I can’t wait to just unplug for all my electronics and explore some place I’ve never been. 9. What if your favorite form of social media? Do you have any tips for how to integrate all of the various forms into a normal day? Besides Cody, I would have to say Instagram. I love instagram, because I like pictures so much better than words. Maybe that’s the lazy in me talking. I think it’s interesting to see what people are up to and there’s no better way than through pictures. 10. Do you have a favorite form of exercise or do you prefer to mix it up? I like mixing it up, every week I think I have a good mix of running, weight lifting, spinning etc. 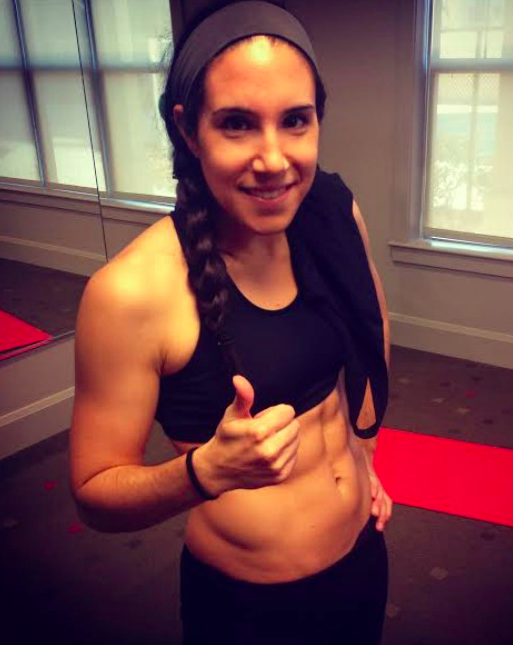 I’ve tried a ton of workouts from actually getting in the ring and sparring, to doing zumba. Right now if I had to pick though hot yoga has been doing my body some good. Flexibility is not something I was blessed with so it’s a challenge for me but so needed. Didn’t you love learning a little about Elise?! 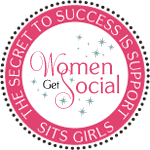 Make sure you check out her site and learn even more about her!!! And today I’m actually the Feature Friday over on her blog so feel free to join me over there for a Fun Friday!! !